Kathleen Wanner, from Green Mountain Fibers (http://www.greenmountainfibers.com/), will be teaching the knitting techniques that are listed below. 2/2 – Learn various cast on techniques that are used for different types of projects – skills may include long tail cast on, German twisted cast on, provisional cast on, 1×1 rib cast on. 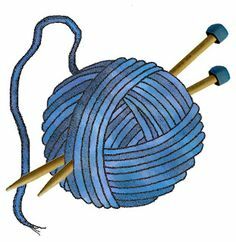 2/9 – Learn various bind off techniques that are used for different types of projects – skills may include basic bind off, Jeny’s super stretchy bind off, lacy bind off, picot bind off (w/Mary Brough). 2/16 – Seaming – 3-needle bind off, Kitchener stitch, sewn together seams. 2/23 – Introduction to lace knitting – basic lace feather and fan, learn to read patterns and charts, techniques for keeping track of your lace knitting.